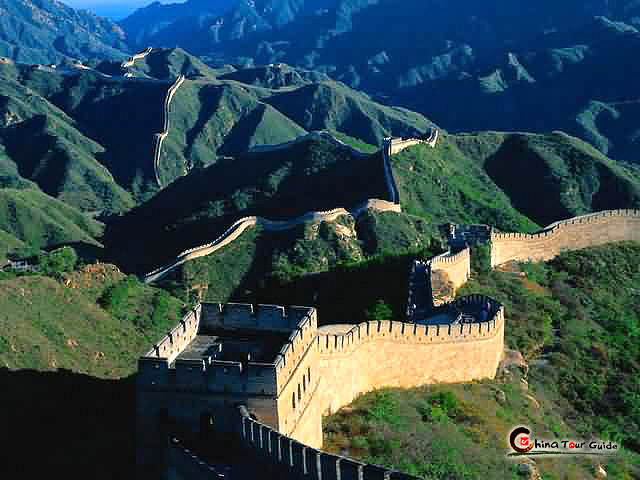 The Great Wall is not an individual rampart but an integrated defense system formed by fortifications including ramparts, watch towers, beacon towers, barrier walls, battle walls, fortresses and passes, etc. The defense system is commanded and controlled by different levels of military command systems. 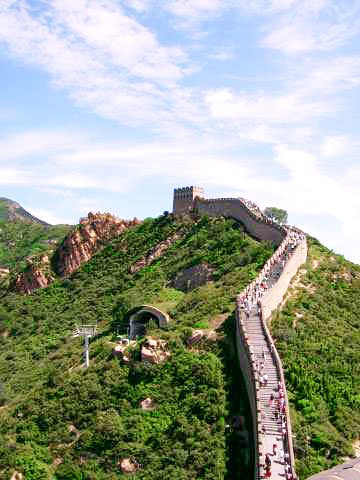 As a defense system, the construction of the Great Wall has been represented in different oddity structures because of the complicated landforms. 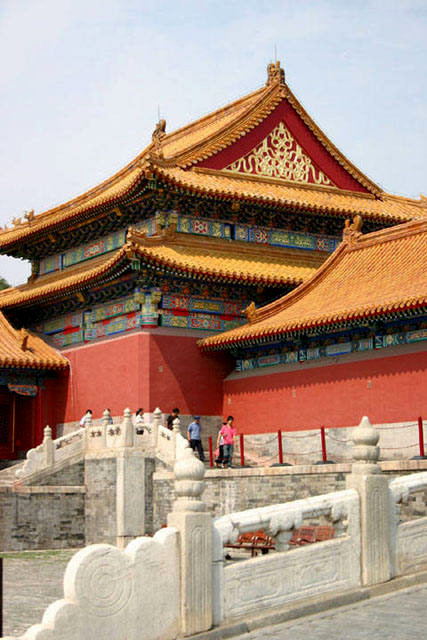 It is an infrequency project in ancient world which shows the brightness and talent of Chinese ancestors. Pass cities are established at important junctions, passes and connections of mountain and sea which is convenient for transportation and defense, and watch towers are set to store weapons and food as well as the accommodation for the soldiers; beacon towers were built for the need of military vigilance and information communication; ramparts and passes are also the important part of the Great Wall. 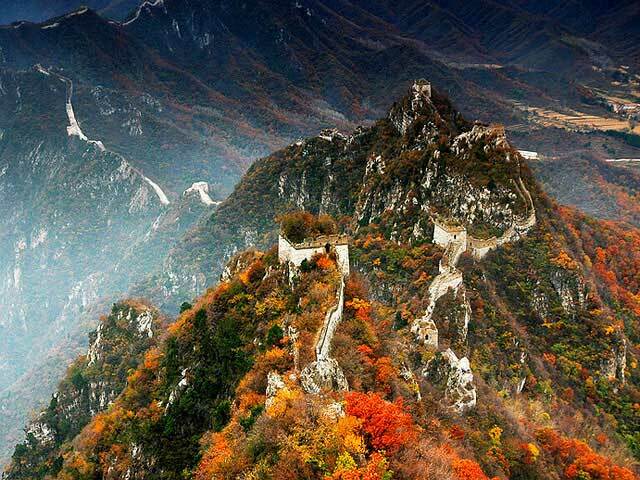 Ramparts are the main body of the Great Wall structure. The architectural form, structure type and material use of the rampart would differ according to various topographical conditions, building conditions and technologies. 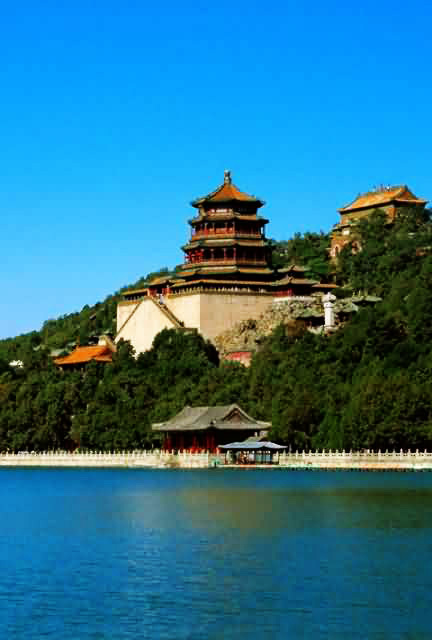 As a kind of defensive construction, the hollow watch tower was creatively built after Qi Jiguang was named Garrison Commander of rampart whereupon battles could be easily supported. On each of the four sides of the hollow watch tower, there is an arrow window. 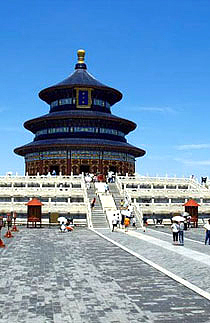 The flat shape of the watch tower is square or rectangle, about 12 to 15 meters (49.2 ft) high. Some watch towers are taller. Their length and width are different according to the terrain and the need to defense and offense. The watch tower often has two or three floors. The top floor is in the air with a battlement and a movable wooden watch tower for shooting and the patrol’s warning and communication with smoke and fire, lanterns and flags. The middle floor was for the defender to shoot the enemy. In the wall there are arrow windows and crossbow loopholes for watching and shooting to all directions. The base floor was the boarding house for the soldier, and also could store weapons, provisions, drinking water and other implements of war. Beacon Towers are also called “fire mound”, “beacon watch tower” and “wolves’ dung mound” with a shape of square, rectangle or circle. 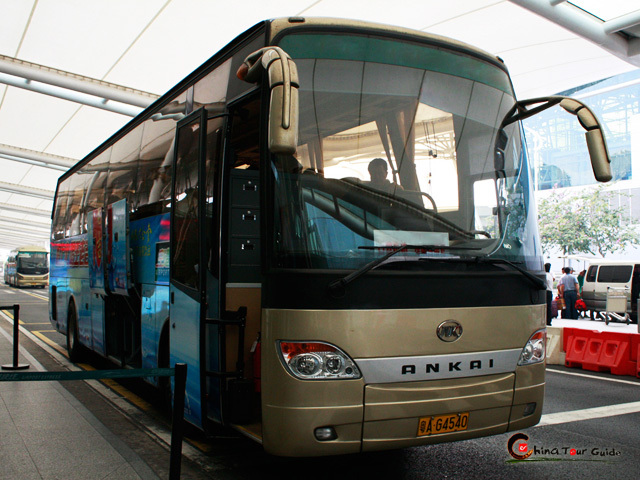 They were built for the need of military vigilance and information communication. 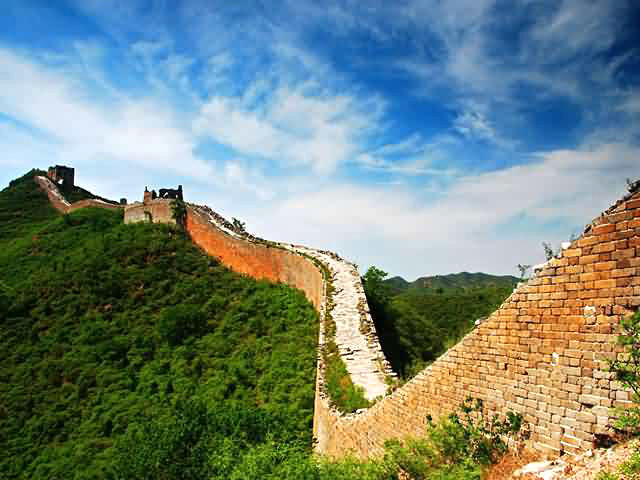 They have a longer history than the Great Wall and served as an important part of the Great Wall defense system. The barrier wall is a partition wall of about 2 meters (6.56ft) high and 1.5 meters (4.92ft) wide built on the rampart. It could prevent the enemy who had broken through a rampart from intruding further sideward. When the enemy got upon a rampart in a battle, the defender would make use of shelters to fight back and shoot through shooting holes in the barrier wall. The barrier wall was always built on the flanks of the watch tower located in the commanding height. It was a flank battlefield. The battle wall was always constructed on an advantageous terrain 50 to 100 meters (164.05 ft to 328.1 ft) outside the chief rampart that holds a special strategic position. If necessary several battle walls would be constructed a place. The battle wall was always made of bricks and stones, and constructed on highland in order to force the enemy to enter the battle before having got near the chief rampart. For occupying the highland where the battle wall was located, the enemy had to make upward attack and thus would experience a heavy lost. 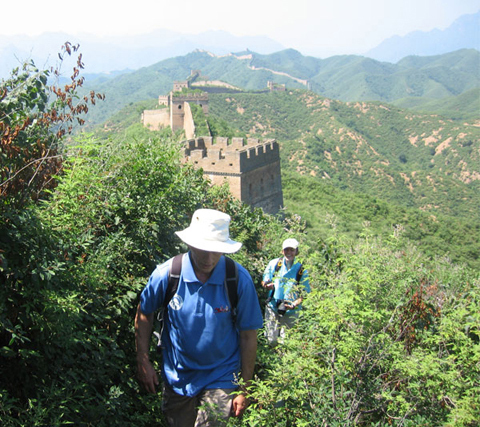 Passes along the Great Wall were the most important strongholds for stationing troops, which were built in the place of strategic importance, hence the saying of “a man on guard is more than ten thousand of men”. Passes were generally built on lofty and precipitous peaks where mountain mouths could be easily blocked. Some passes were built in deep valleys and clutched the strategic gorge. Only by setting passes in strategic places could the defender successfully fight against the enemy of larger quantity. Most passes of the Great Wall had a pass city. 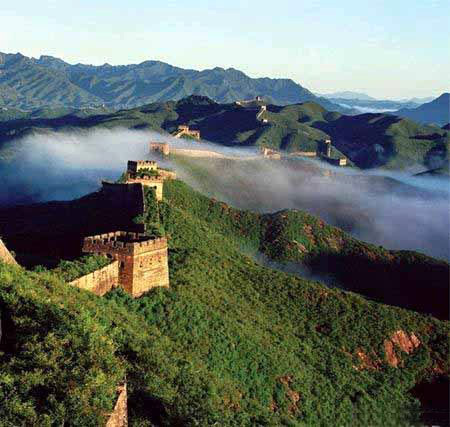 Passes and pass cities of relative large scale were the backbone strategic strongholds in the Great Wall defense system. 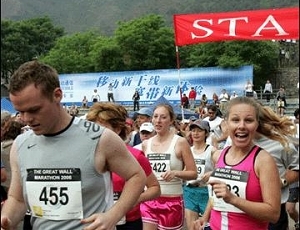 When the Great Wall was partially broken through, passes determinedly kept by the defender would still bluff off enemy. 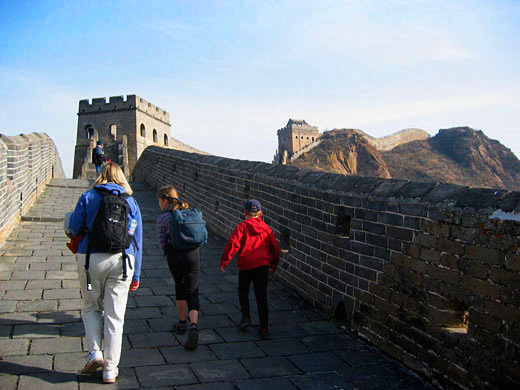 Pass cities of the Great Wall passes are mainly composed of square and polygon ramparts and city gates, city towers, city platforms and urn cities. Relative big pass cities in the plain still had moats and net cities around them. Around the extremely important passes there would be accessory fortresses serving for a peripheral battlefield.